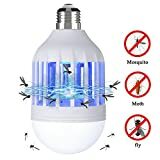 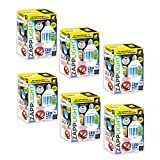 This cool new Mosquito Zapping LED Light Bulb eliminates AKA kills disease-carrying mosquitoes and other annoying flying insect pests with a satisfactory 3,000-volt zap while providing 920 lumens of energy saving soft white light. 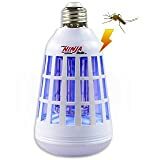 These bug-killing outdoor / indoor bulbs use 18 LEDs, equivalent to a 70-watt incandescent bulb, and a built-in electrified cage to zap pests, not just repel them, on your patio or deck. 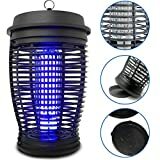 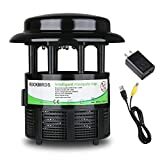 The light and zapping cage can work together or separately depending on your utterly annoying flying pest level, but personally I prefer to hear insects getting zapped into oblivion while illuminating my evenings outdoors.